Remodeling is expensive. There are no do-overs. Get it right the first time, save money, and preserve your sanity! 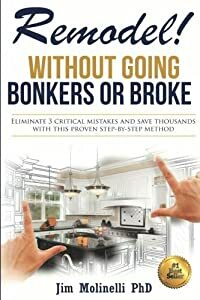 If you plan to hire a professional to remodel your home - YOU NEED THIS BOOK! Master the art of earth acupuncture and manifest more love, wealth, health and success using the secrets of feng shui. 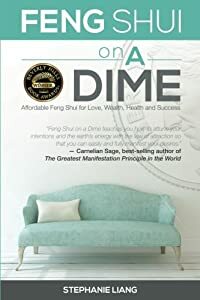 Feng Shui on a Dime is a step-by-step feng shui guide that demystifies the ancient Chinese practice of feng shui for beginners or veterans and mixes modern with traditional and always affordable feng shui cures to help you organize your life and activate the laws of attraction. Enrich your family life…and much more! It is your divine right to live your best life ever, but how do you make it happen? By activating the potent creativity inside you and letting it dance with the energy of the universe, your wildest wishes can come true. Sprinkle some feng shui into your world and watch your positive intentions bloom beyond belief. 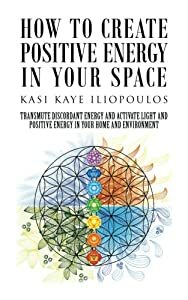 Whether you’re looking to learn feng shui for beginners or more advanced feng shui principles, Feng Shui on a Dime empowers you with easy-to-implement, inexpensive feng shui cures to help you live your best life. 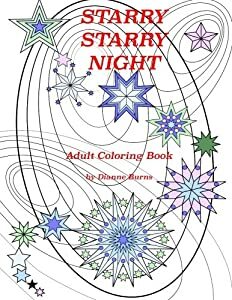 Get ready for love, wealth, health and success, because all it takes are a few adjustments to draw in feng shui love and prosperity! The chakras are powerful energy centers located in your subtle body. Unknown to many people, these vortexes of life energy govern and regulate your physical body. 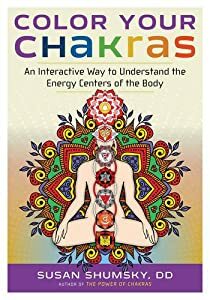 According to the ancient Tantric and Vedic scriptures of India, there are 14 chakras--seven major ones along your spinal column, and seven others, most of which are located in your brain. Each chakra performs a specific function and is associated with discrete body parts and aspects of mind. Each chakra (or "wheel") has a hub, where subtle energy conduits intersect; and spokes, which are radiations of subtle energy. Chakras are often likened to lotuses, and the radiations of energy are equated with lotus petals. The lotus petals on six of the seven major chakras comprise the entire Sanskrit alphabet, and the seventh major chakra vibrates all 50 letters of the Sanskrit alphabet. From her experience as a professional artist for over 25 years and instructing workshops for almost a decade, Karen Richardson has identified the challenges everyone encounters when learning to paint. 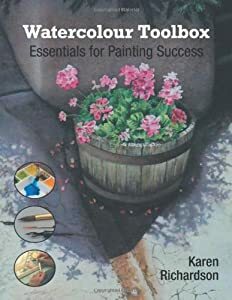 Watercolour Toolbox focuses on simple solutions that anyone can learn, illustrated with step-by-step demonstrations for creating realistic stones, flowers, landscapes, and buildings. With Karen's insightful guidance, choose materials that make painting easier, and learn to mix any colour from just three tubes of paint. Learn her fun strategies for staying engaged with your paintings from start to finish. Whether you are a beginner or experienced artist, you will gain the knowledge and confidence needed to make stunning, lifelike paintings. 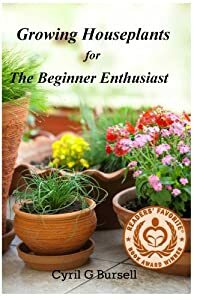 It is my hope that by the time you finish reading this book, you too will have developed your green thumb and grow vibrant house plants that will be the envy of anyone who visits your home. 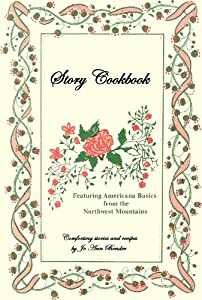 Stories and comforting, easy recipes on each little page from a little ranch in the Pacific Northwest. As one person said about this ranch: "If you're ever up this way, my advice to you would be . . . to take some time out from your life and see the Lazy Bee. Just let it work its magic, it shouldn't take too long to let the silence sink right in and bring to you a song. A song of peace, a song of joy in perfect harmony. I guarantee it happens down at the Lazy Bee." affectionate cat, and an inspirational garden.